The Hotel Metropole in Tsukiji, Tokyo. 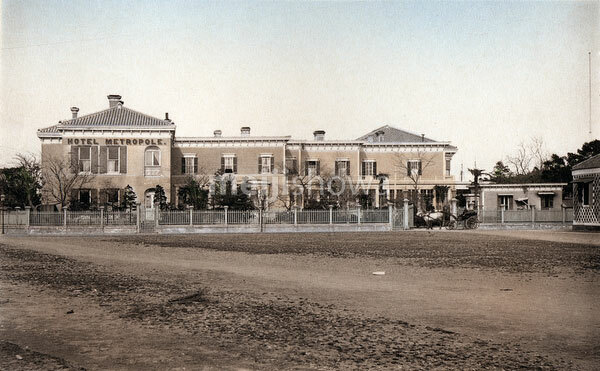 The Metropole was a branch of the Club Hotel in Yokohama and was opened when the United States Legation, which used to be based here, vacated the building in 1890 (Meiji 23). The building was destroyed by the Great Kanto Earthquake of 1923 (Taisho 12).